Leading pet food manufacturer, Pets Choice, has confirmed that three of its well-known brands will be exhibiting at the forthcoming PATS exhibition, in Telford, 23rd -24th September 2018. The company, which has been attending the popular show since 2014, will be showcasing a selection of best-selling products from its Webbox Natural, Meatiful and TastyBone brands. Webbox Natural, a sub brand of Webbox offering natural cat and dog food high in essential vitamins and minerals, will be displaying a number of products new for 2018, as well as unveiling its brand new Webbox Natural Sausages. Available in Turkey and Chicken with Brown Rice and Vegetables or Lamb and Chicken with Brown Rice and Vegetables varieties, the Webbox Natural Sausages come in 300 and 650g servings. Meanwhile, Meatiful, known for its 100% natural and gluten free gourmet sausages for dogs will be unveiling a brand-new variety of sausage and its first ever grain free sausage – White Fish with Sweet Potato and Butternut Squash. As with all Meatiful products, it is a vet approved recipe, hypoallergenic and is slowly steam cooked to maintain nutrients. Zoe Hardaker, Webbox and Meatiful product manager, comments: “We’re really looking forward to PATS this year as it’s a show that’s always been important to us. 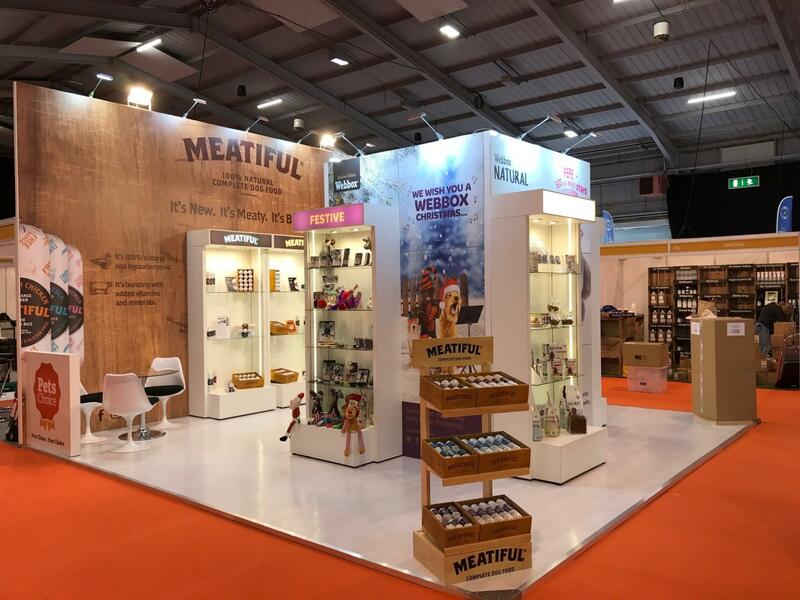 Webbox Natural had its first presence at the show in 2016 and we launched the Meatiful brand there last year – it’s safe to say both brands have come on a considerable amount so we can’t wait to launch more newcomers and showcase our diverse and high-quality portfolio of products. TastyBone will also have a range of exclusive show offers for attendees and can be found on stand F27. The UK’s leading manufacturer of nylon chews and edible treats for dogs will be launching two brand new products at the show, including QuattroBone – a 100 percent virgin nylon bone, boasting a unique four- pronged shape and available in four brand-new worldwide flavours, including Chicken Tikka, Fish ‘n’ Chips, Hoisin Duck and Chorizo.